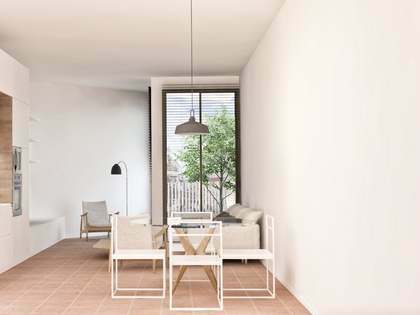 Contemporary ground floor apartment in a fabulous new development of 18 homes, just one street back from the beach. 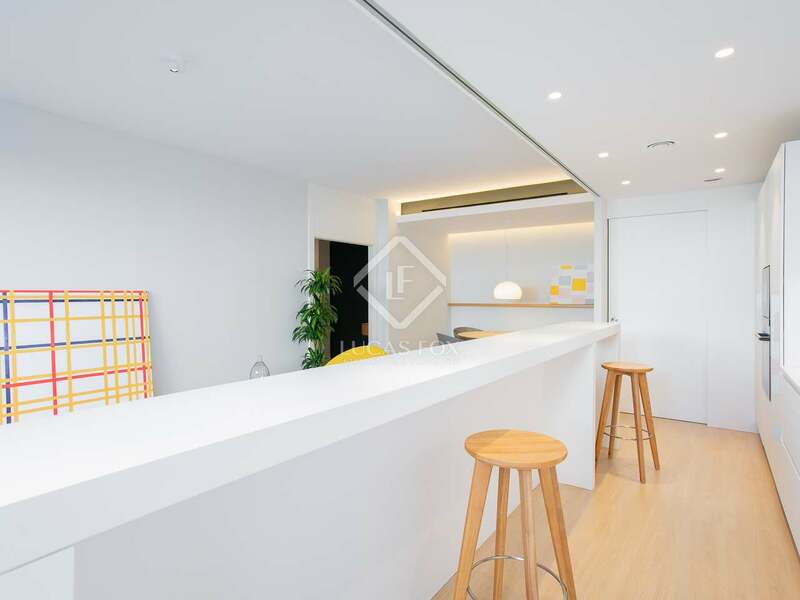 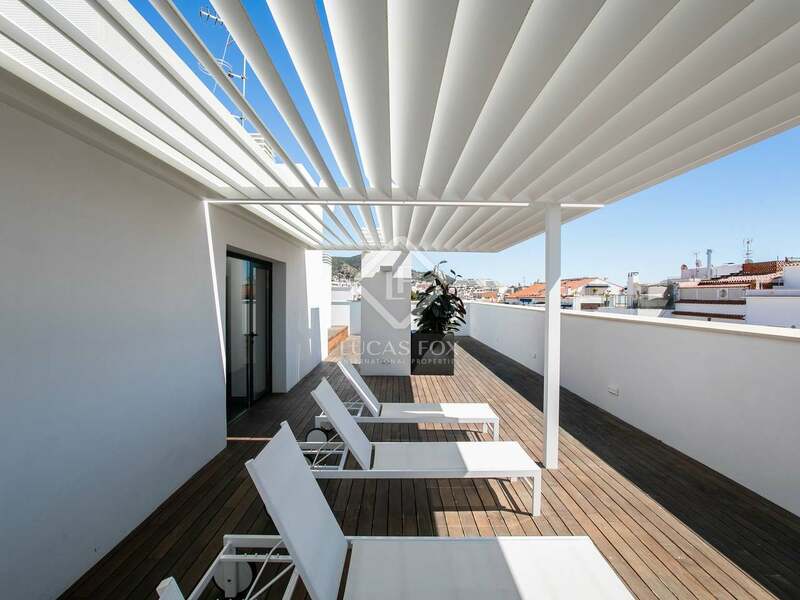 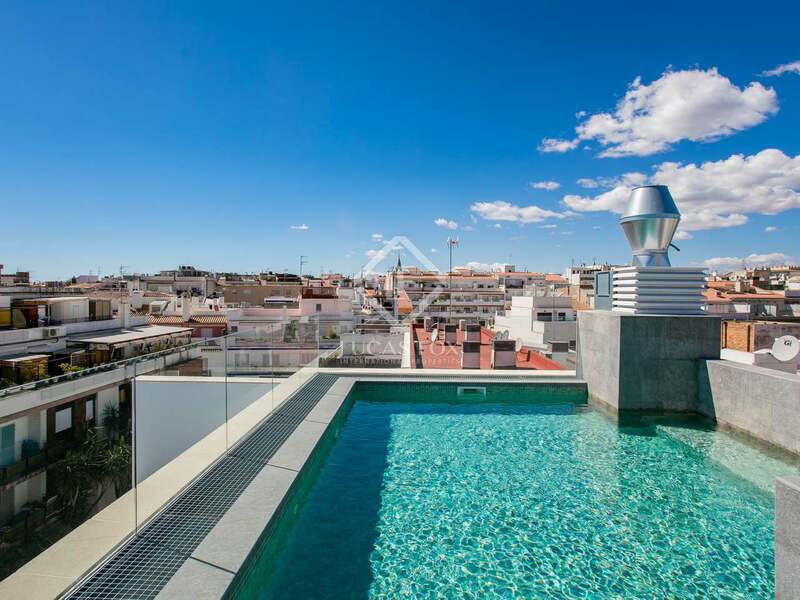 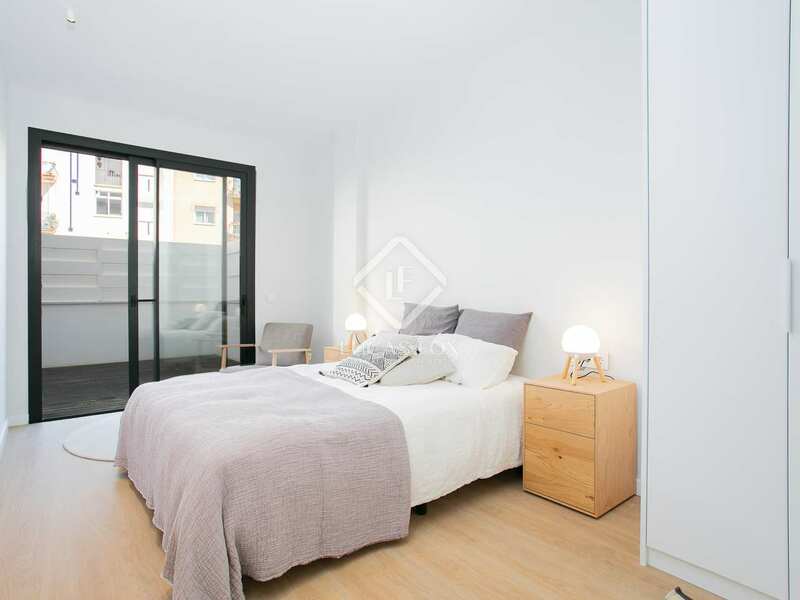 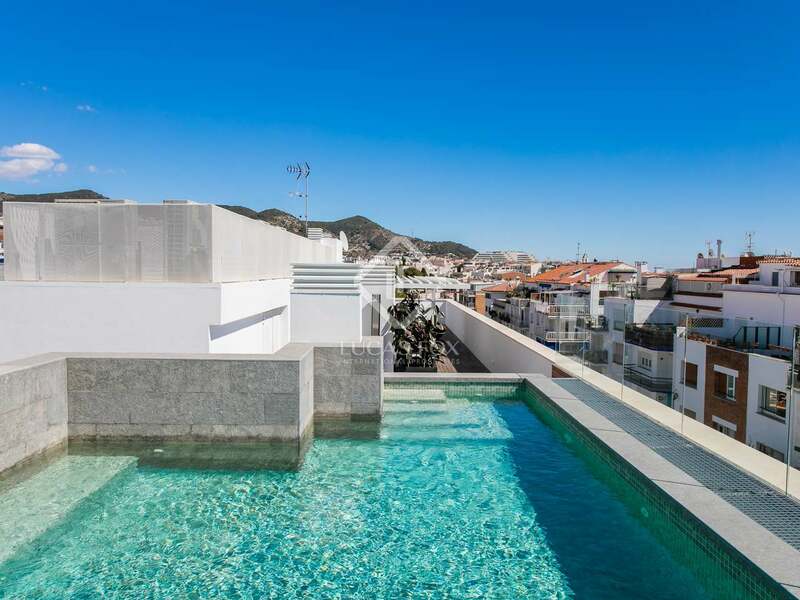 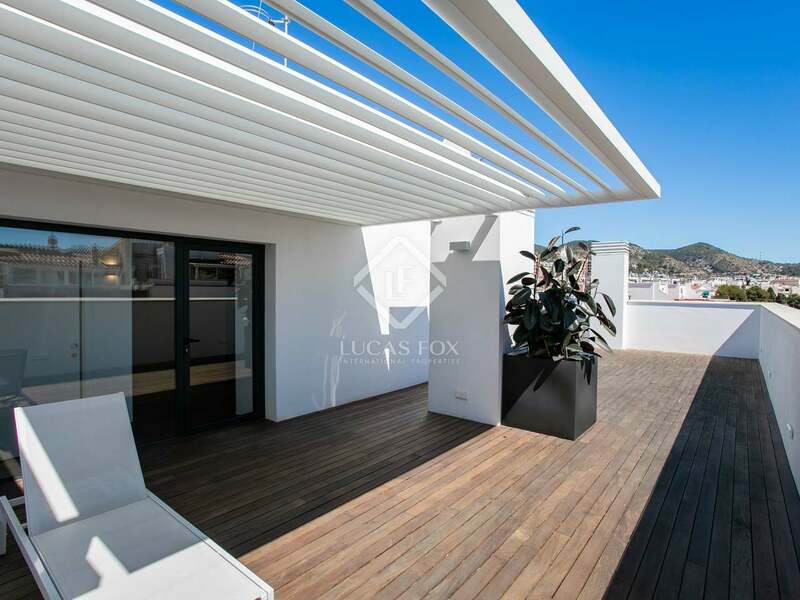 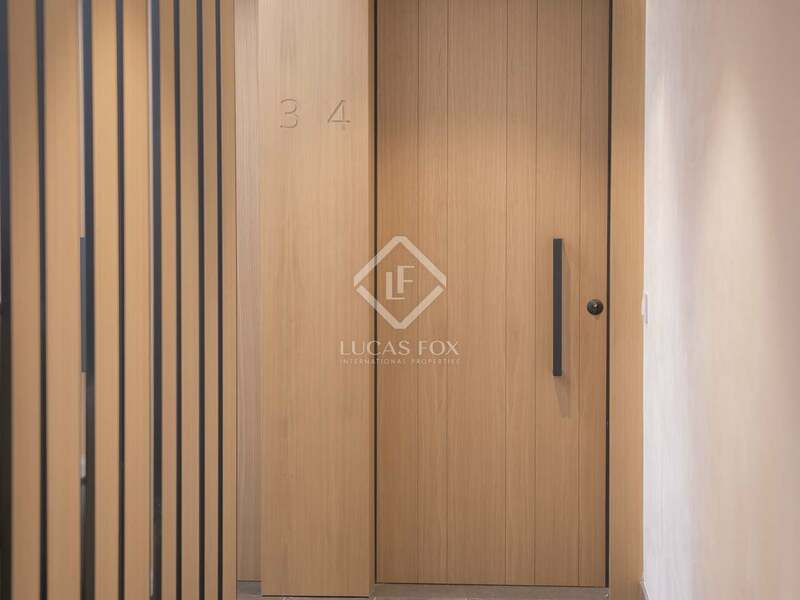 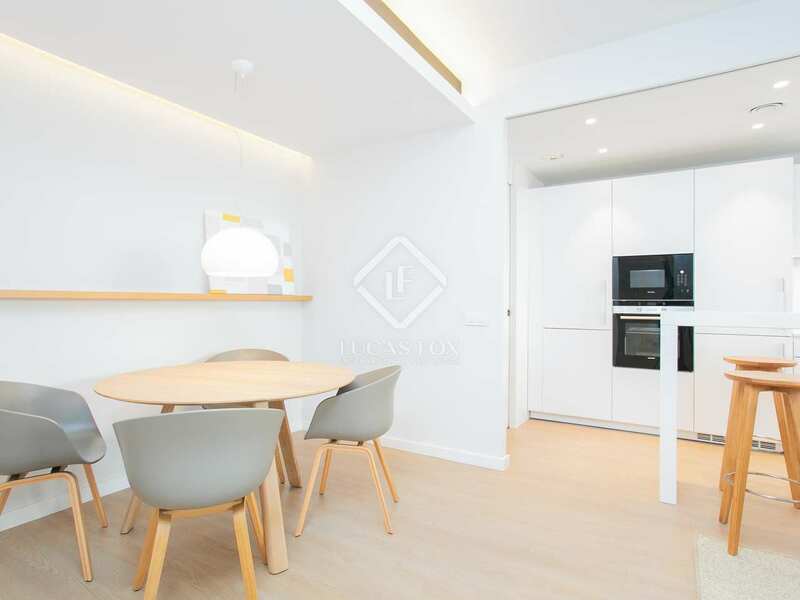 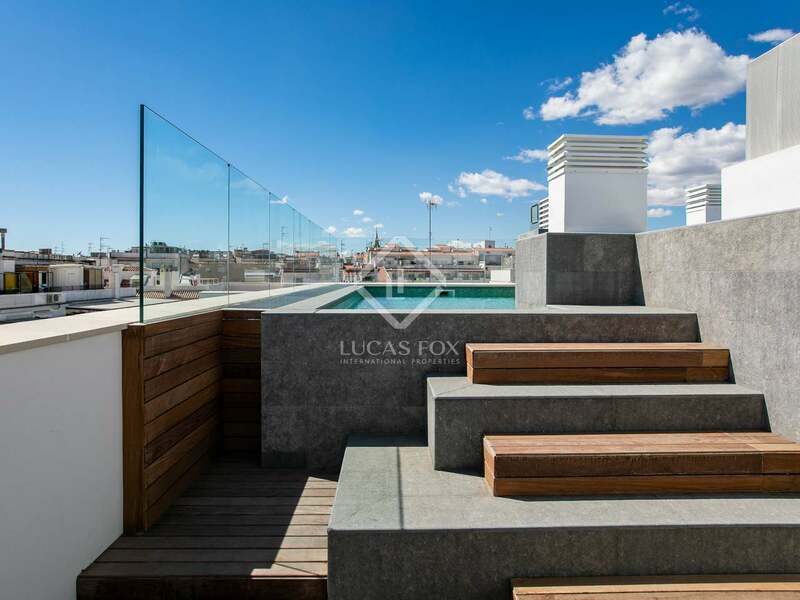 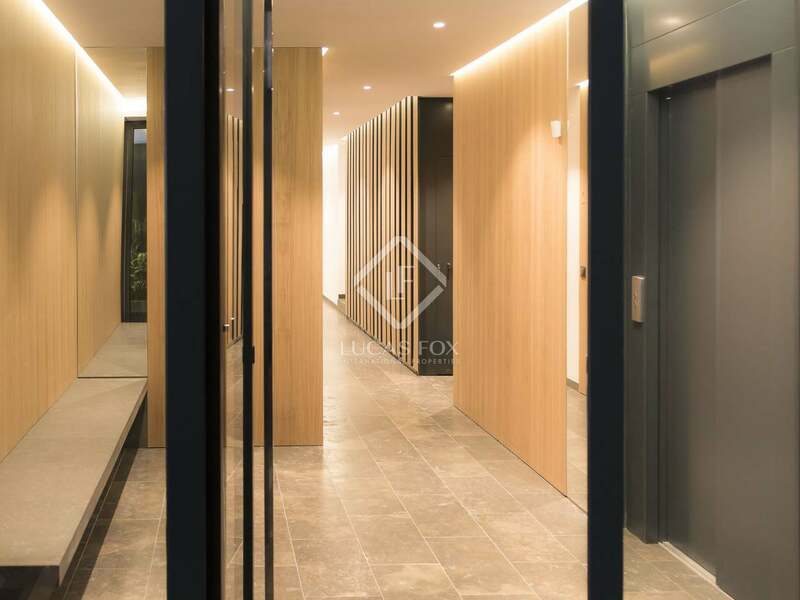 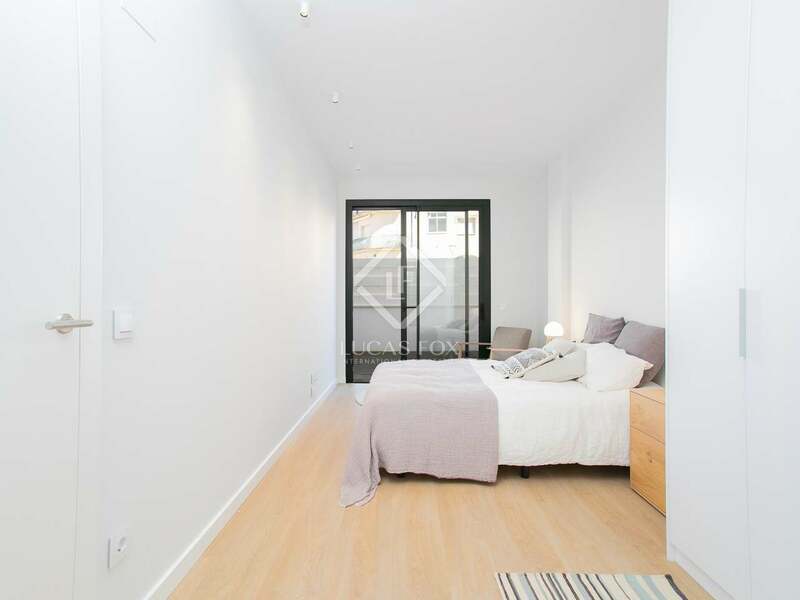 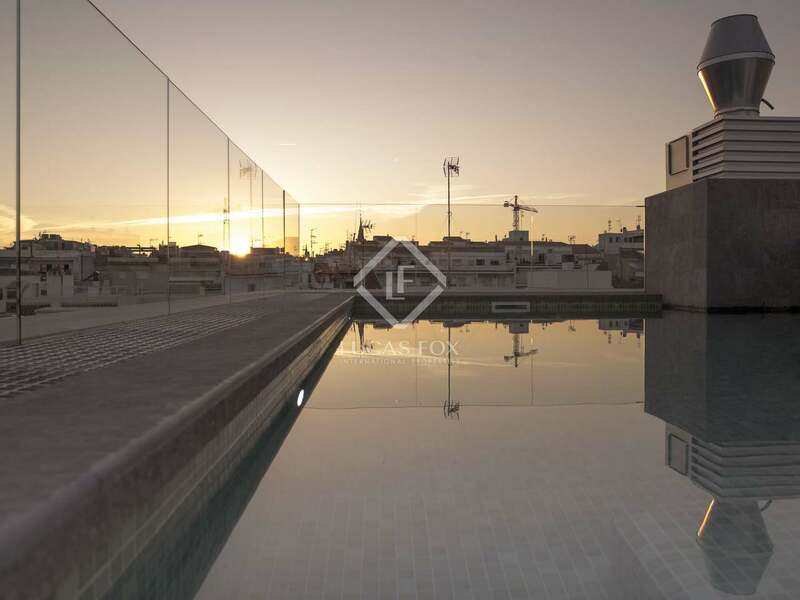 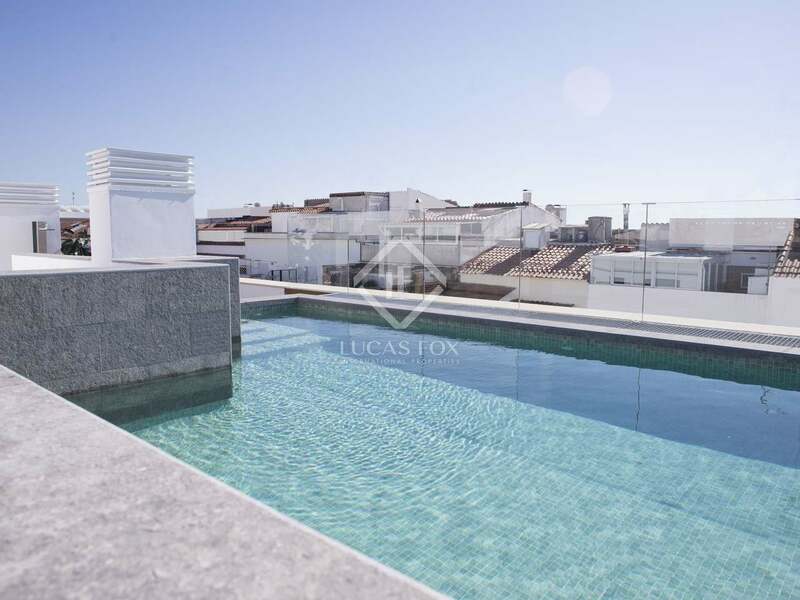 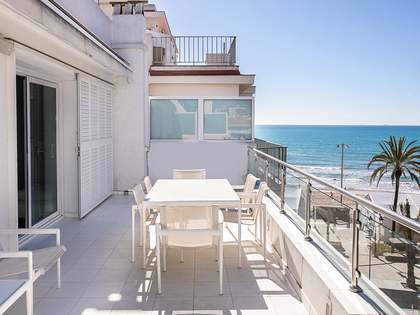 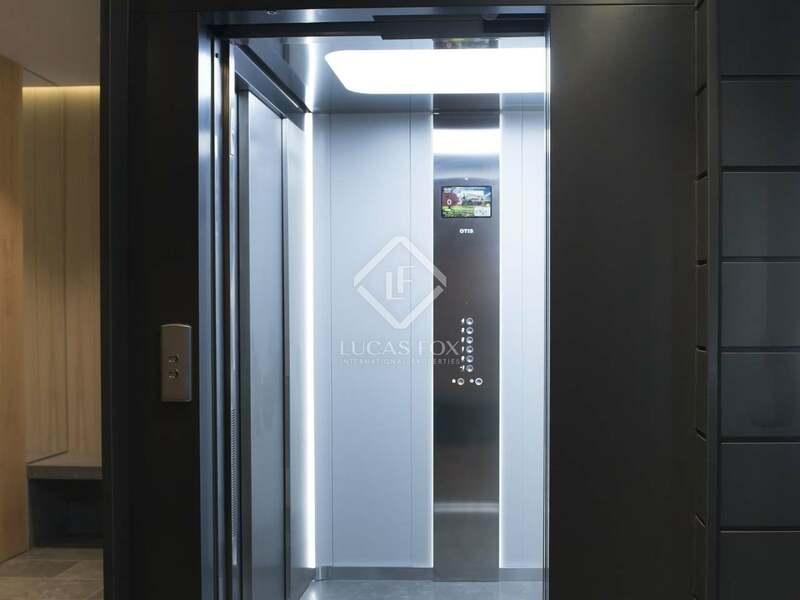 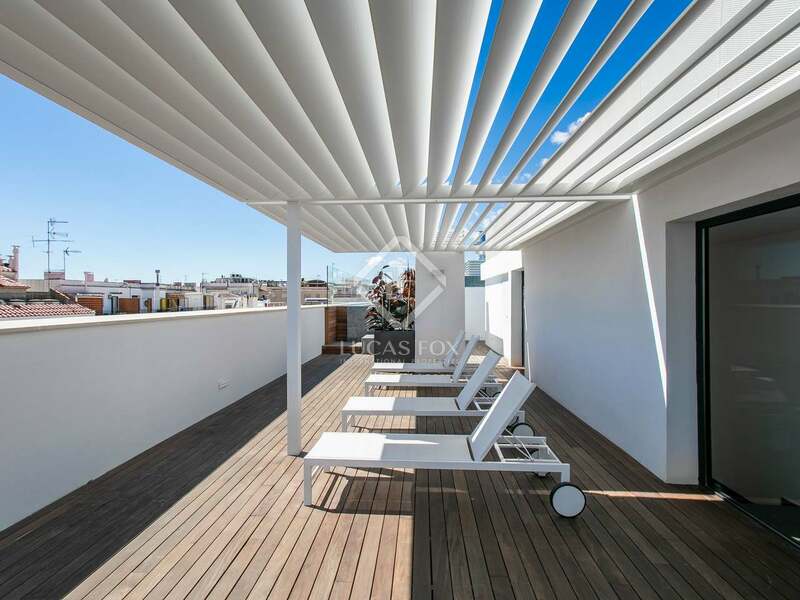 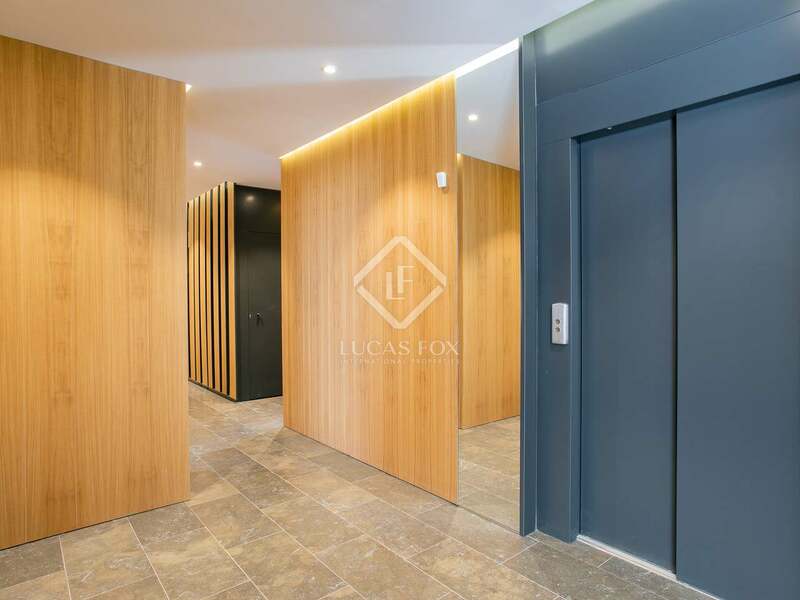 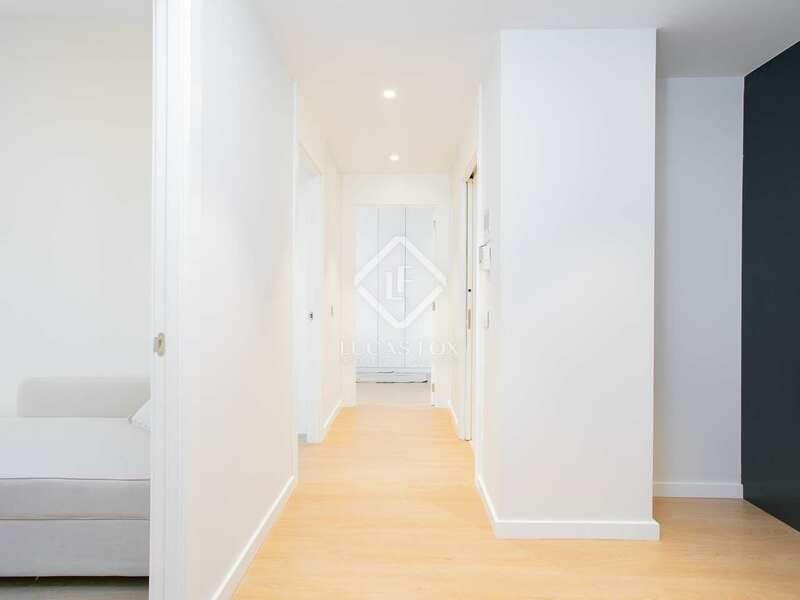 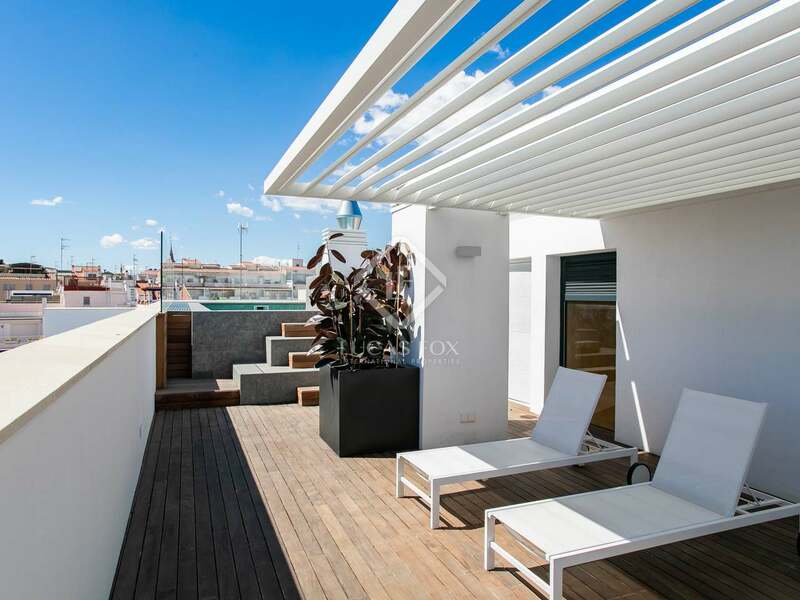 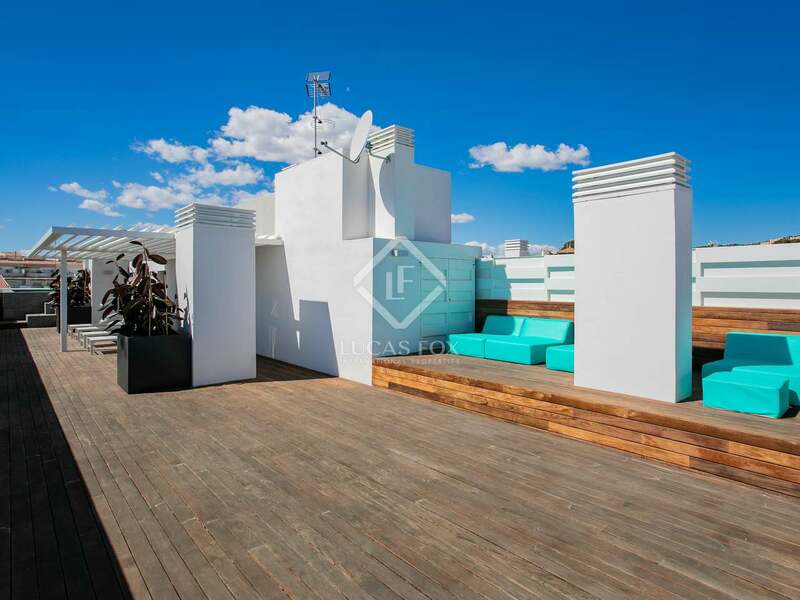 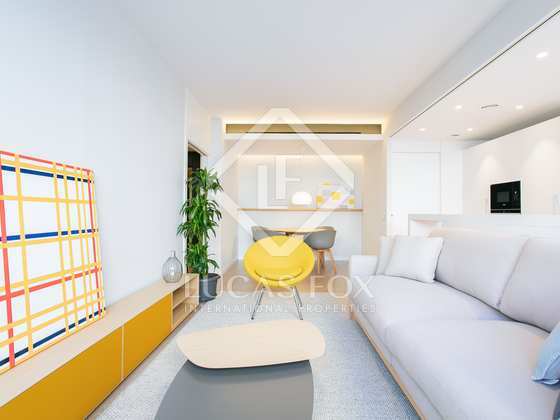 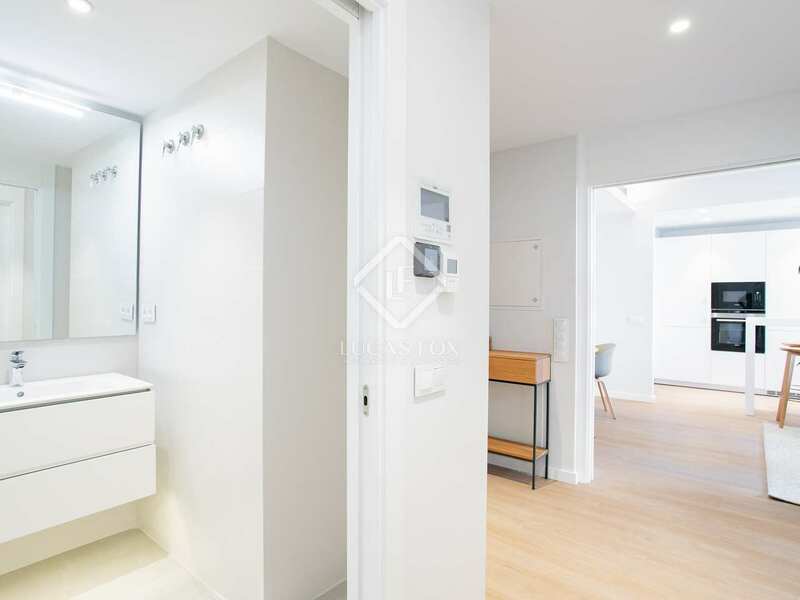 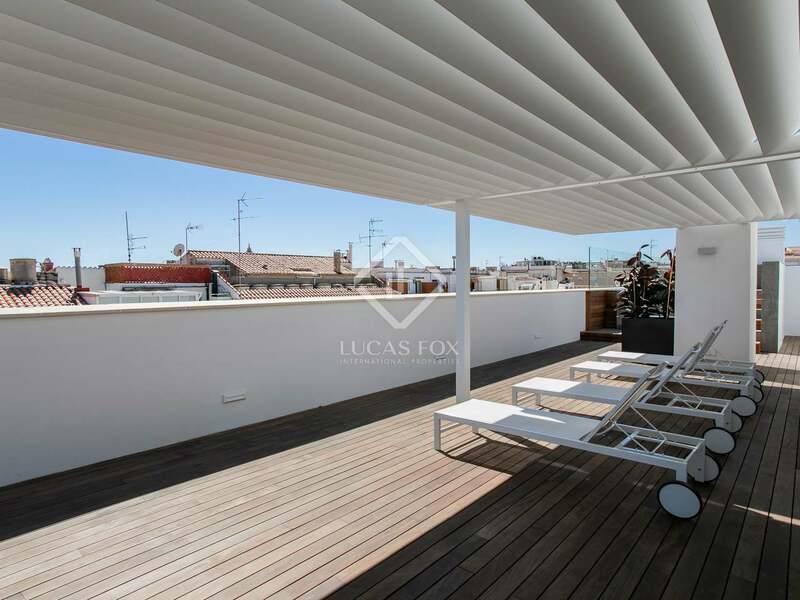 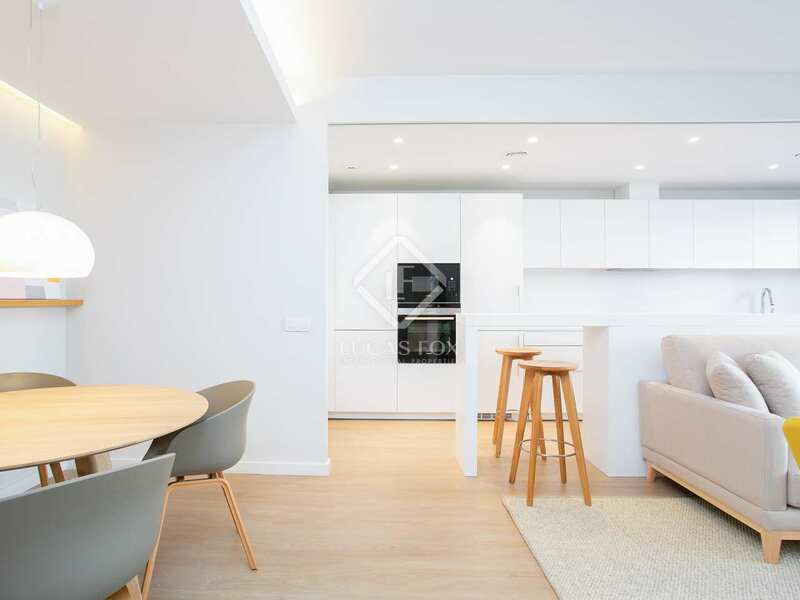 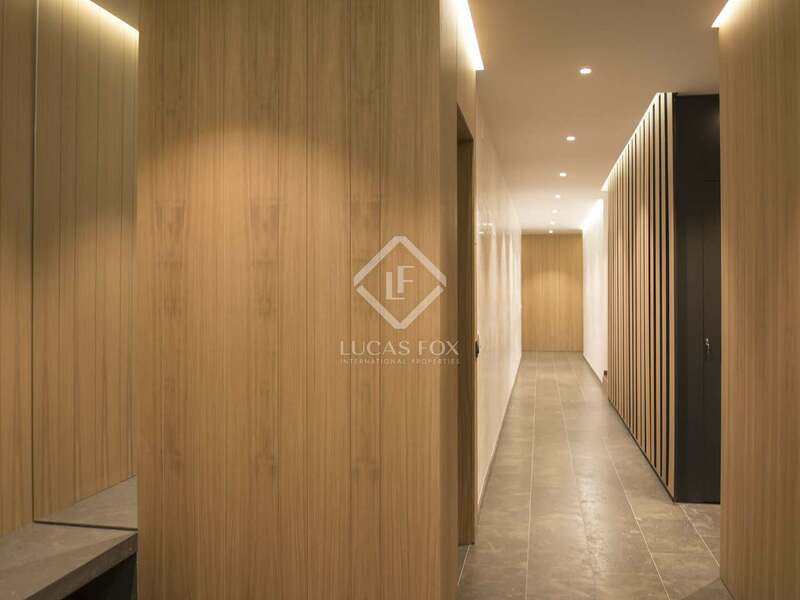 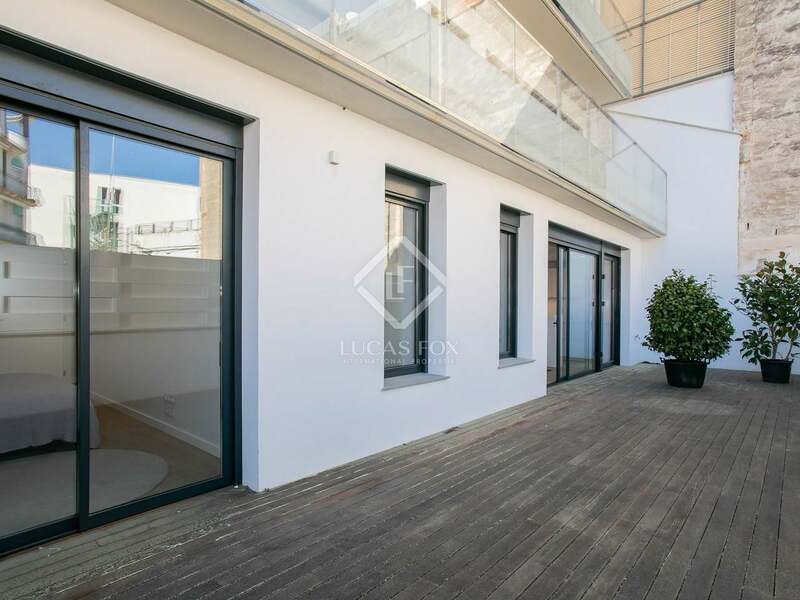 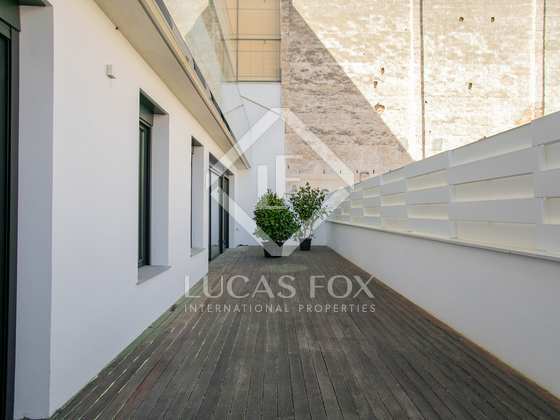 This spacious and light apartment is the perfect place to make the most of Sitges' enviable climate thanks to the large private terrace and beautiful rooftop communal areas, including a swimming pool, all in a secure building with parking and a fitness room in the basement. 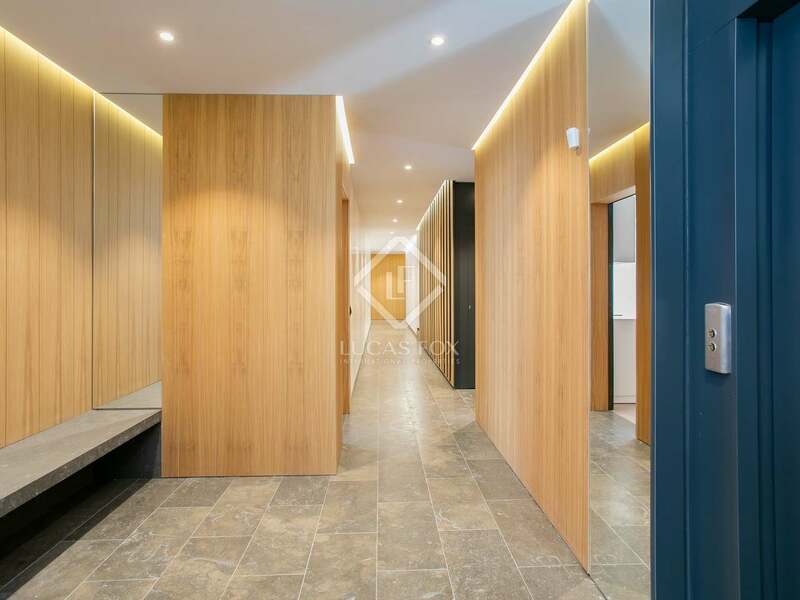 On entering the property sliding doors to the left of the hallway lead to an open-plan living-dining area and kitchen, fully equipped with built-in Siemens oven and microwave and a separate laundry area. 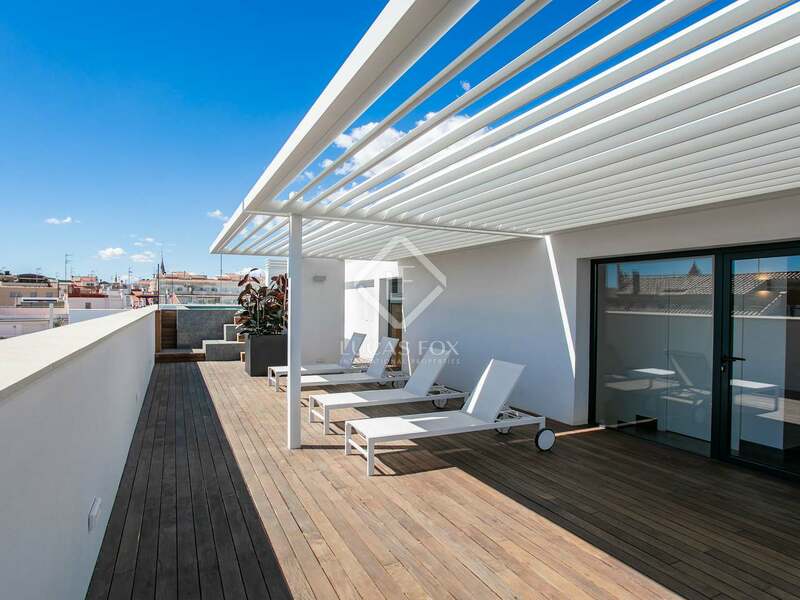 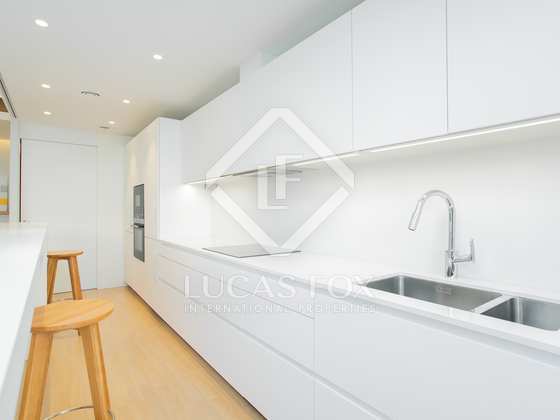 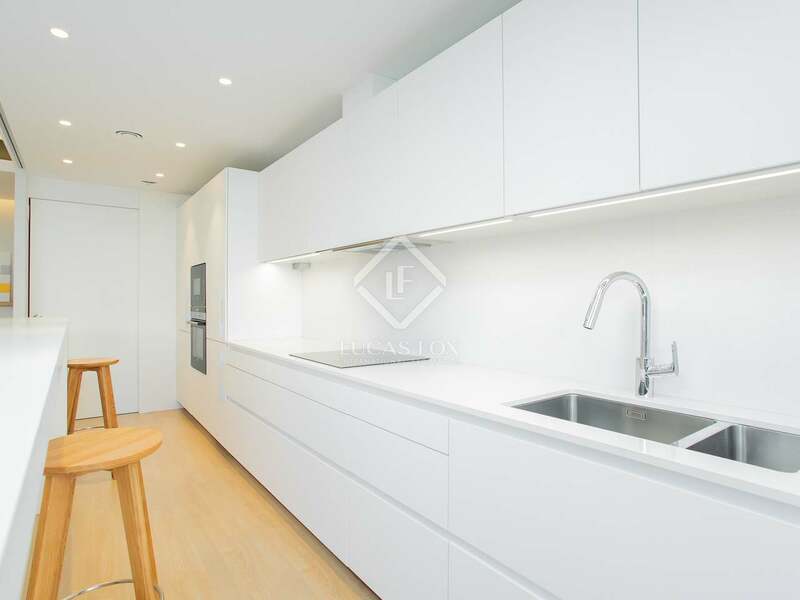 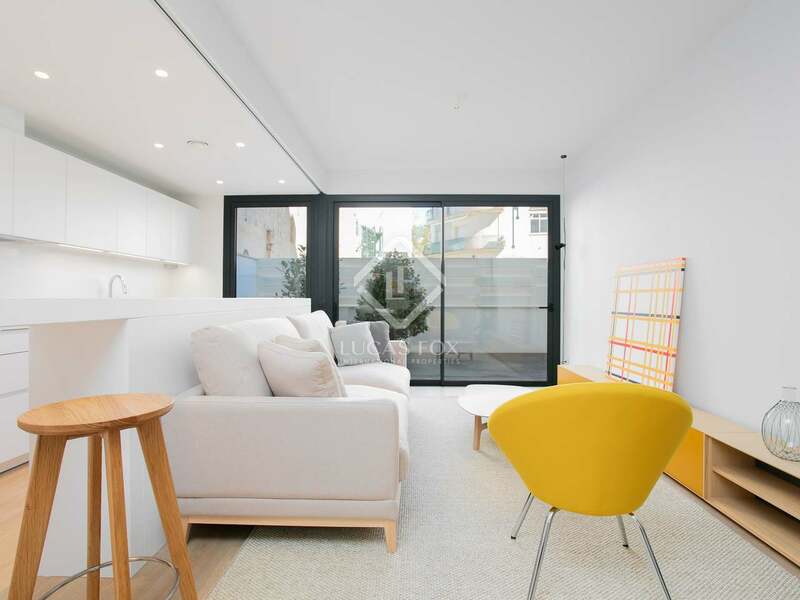 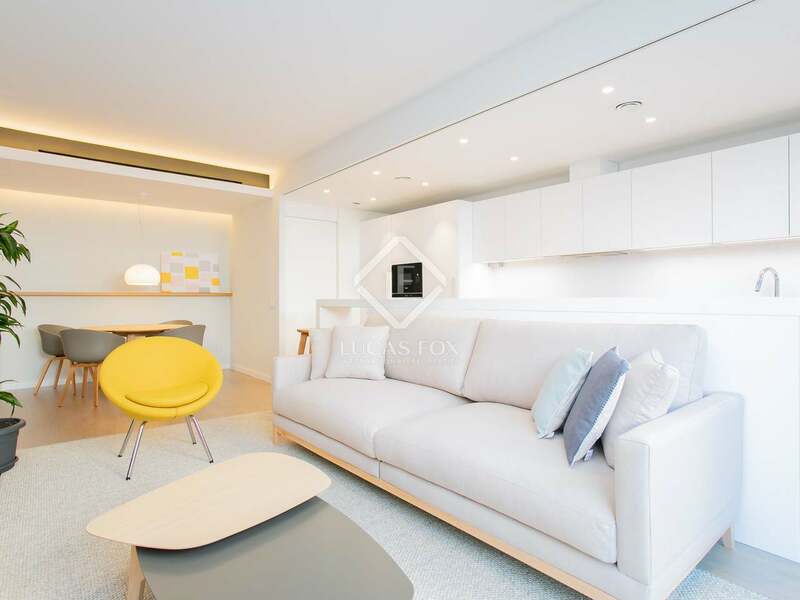 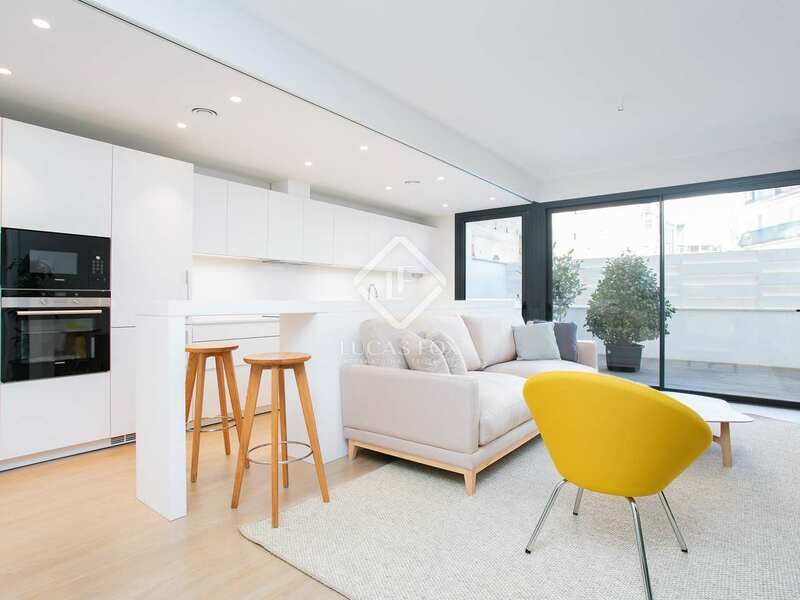 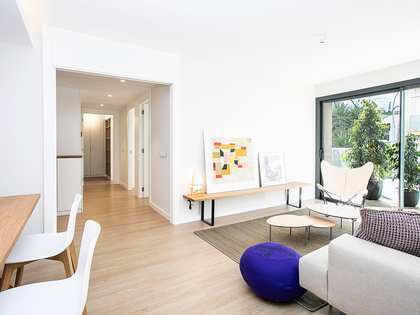 This space enjoys access to a large, south facing decked terrace measuring 44m² which runs the entire length of the apartment. 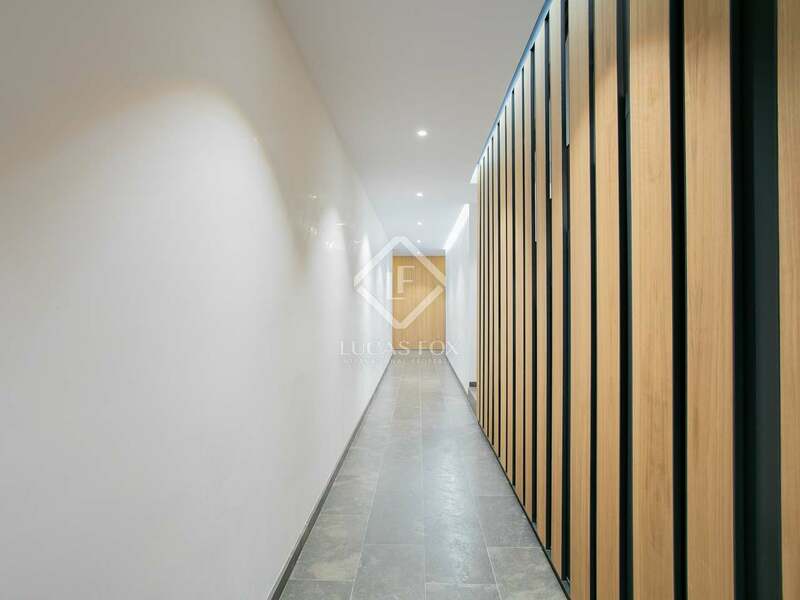 The hallway leads to one family bathroom with a shower and two single bedrooms, one of which could be used as a study. 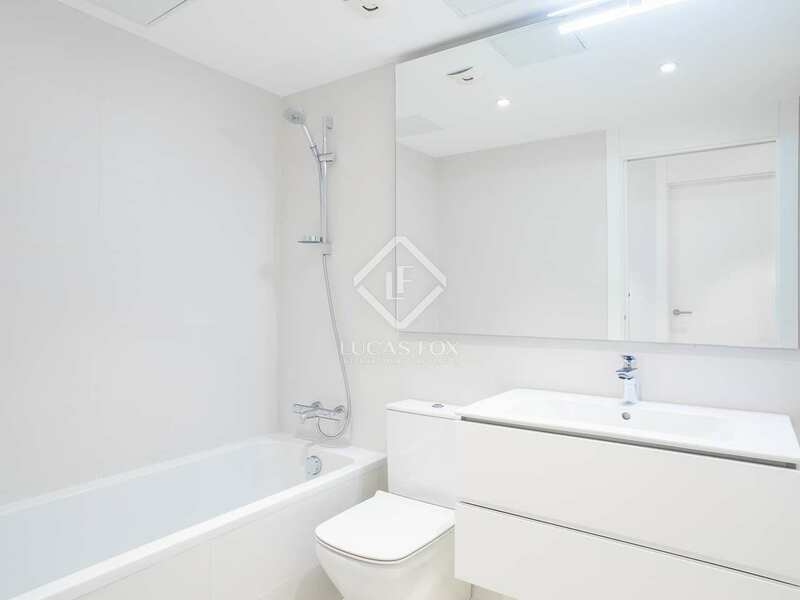 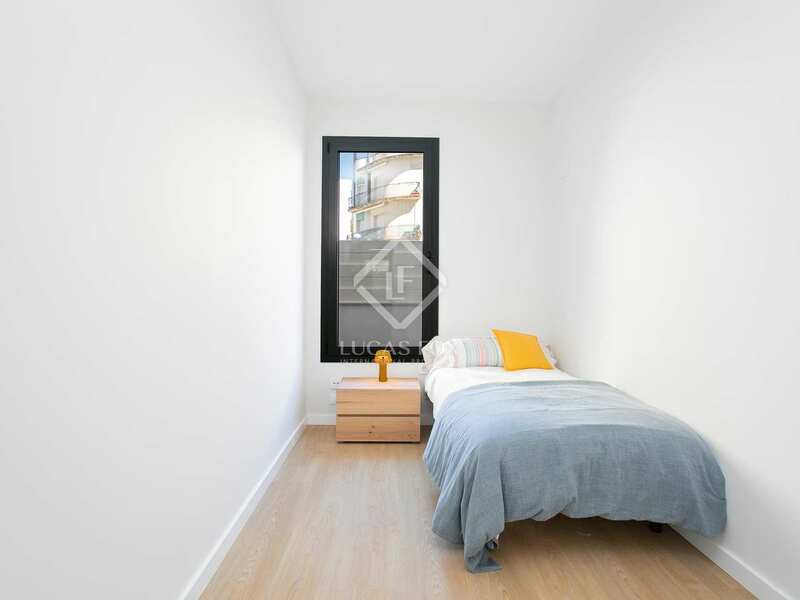 The master bedroom with built-in wardrobe and en-suite bathroom with a rain shower, as well as access to the terrace, completes the apartment. 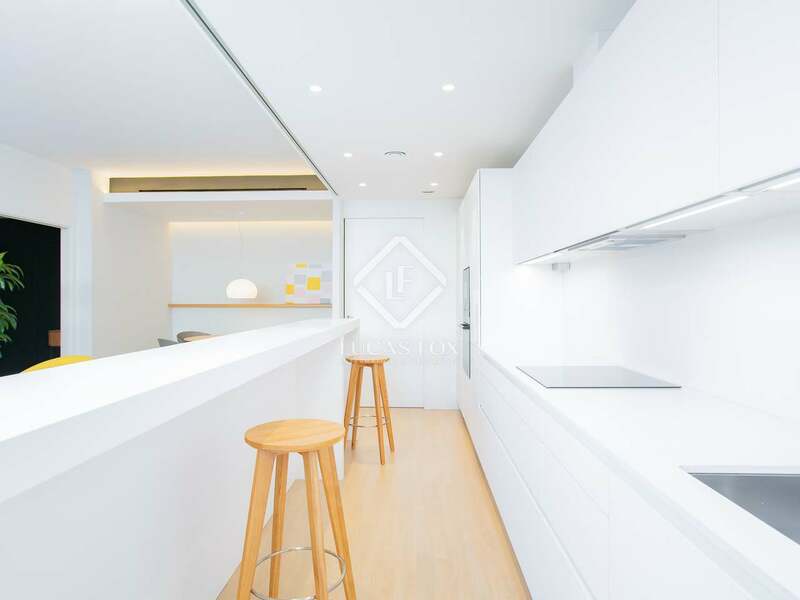 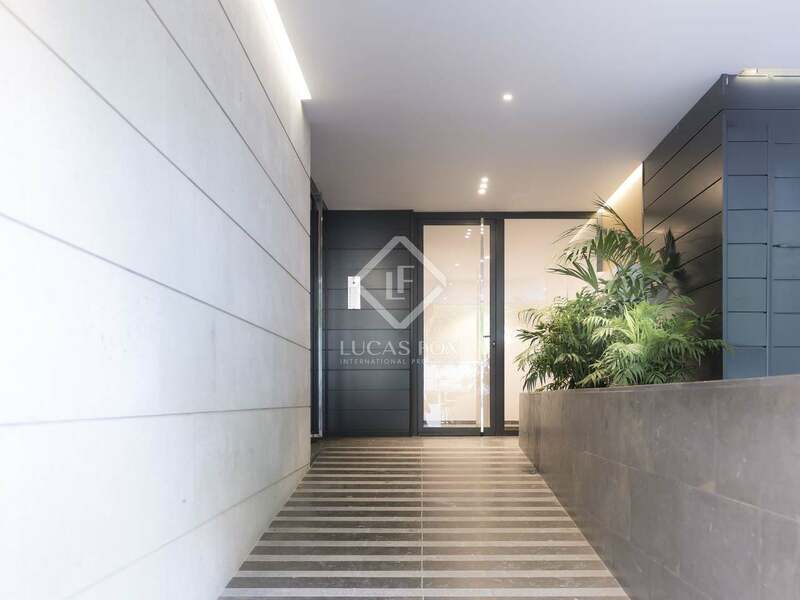 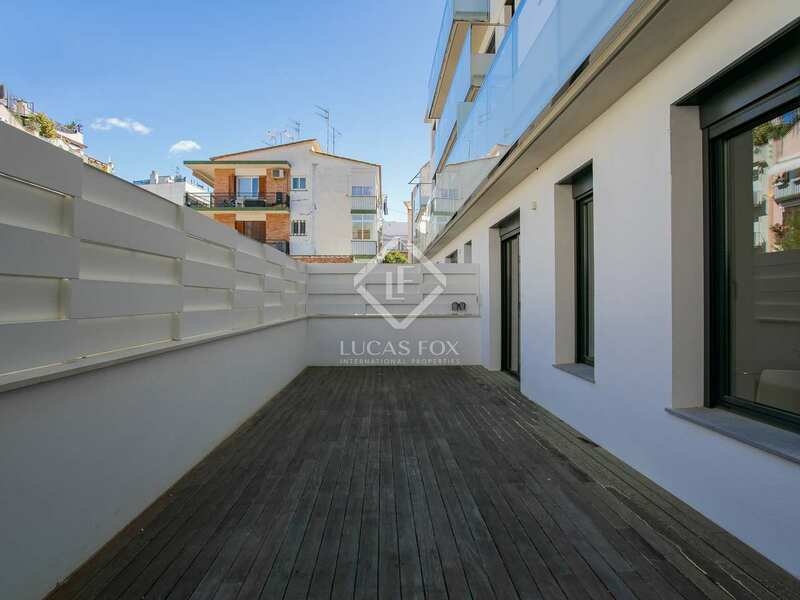 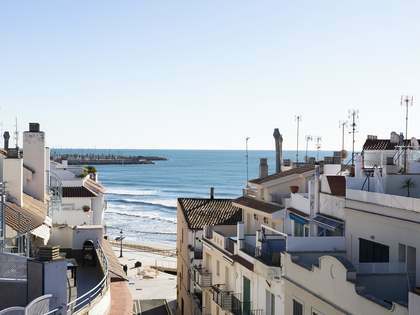 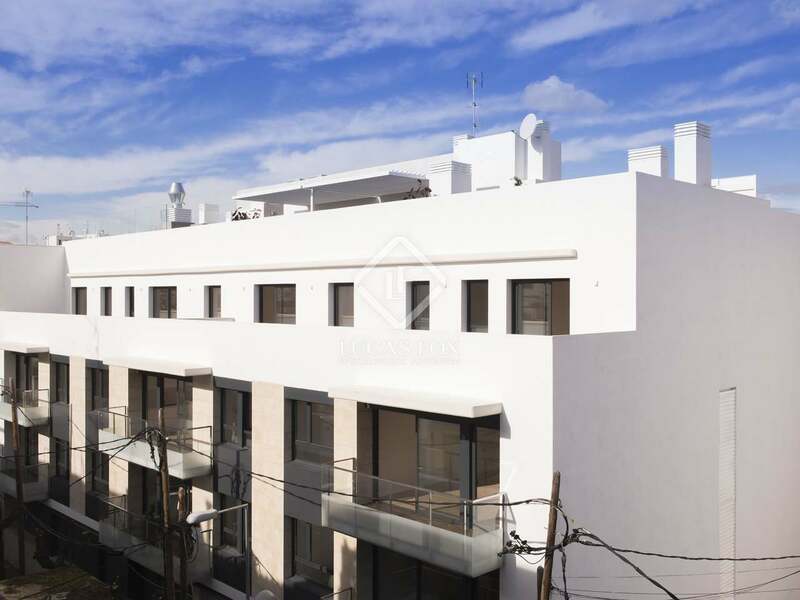 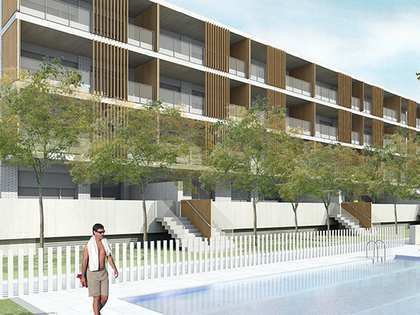 This energy efficient property would appeal to buyers seeking a primary residence or second home in the centre of Sitges. 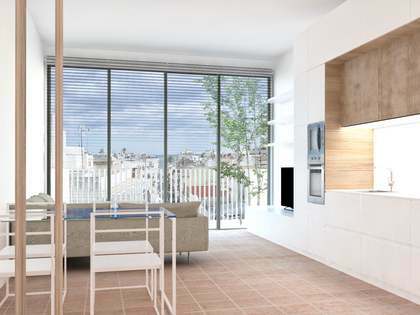 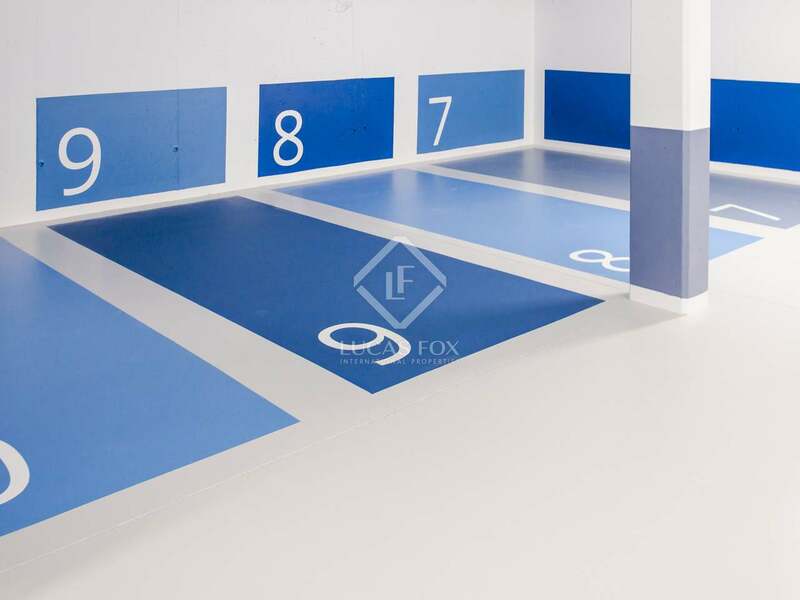 Also interesting for investors looking to achieve a healthy return on their investment. 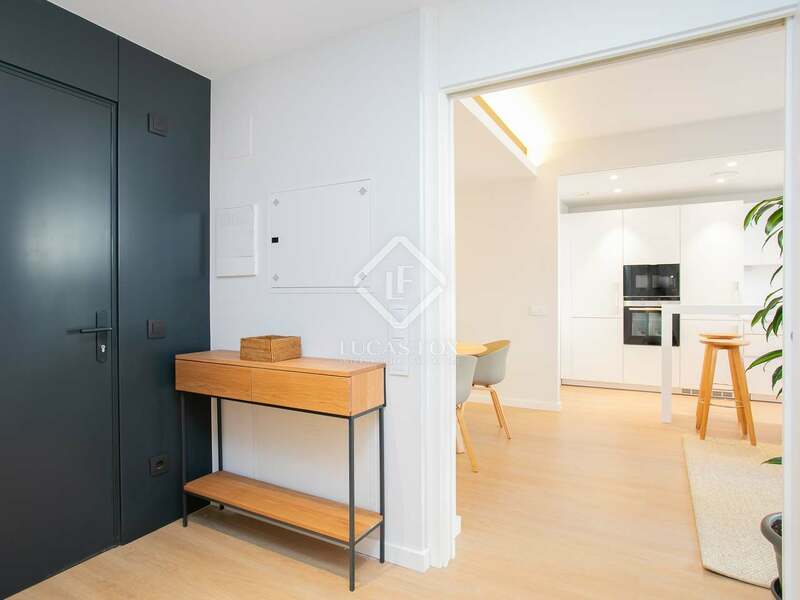 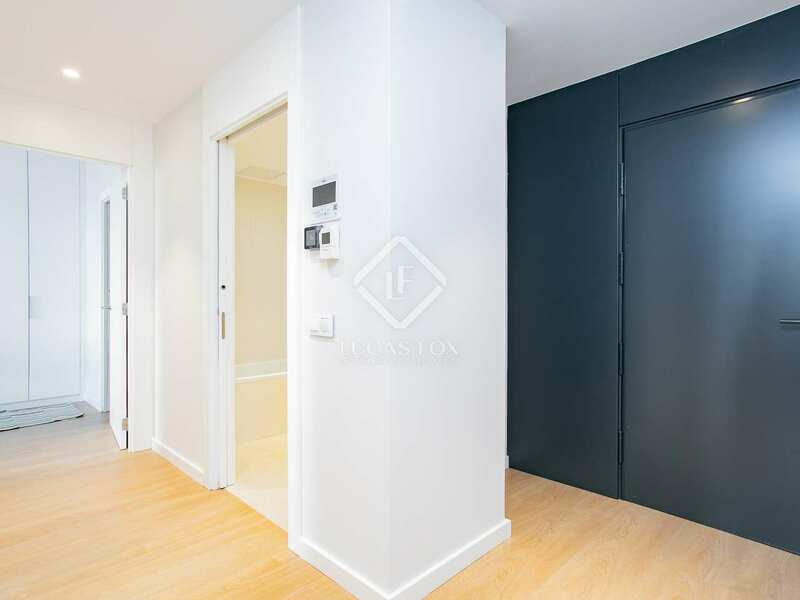 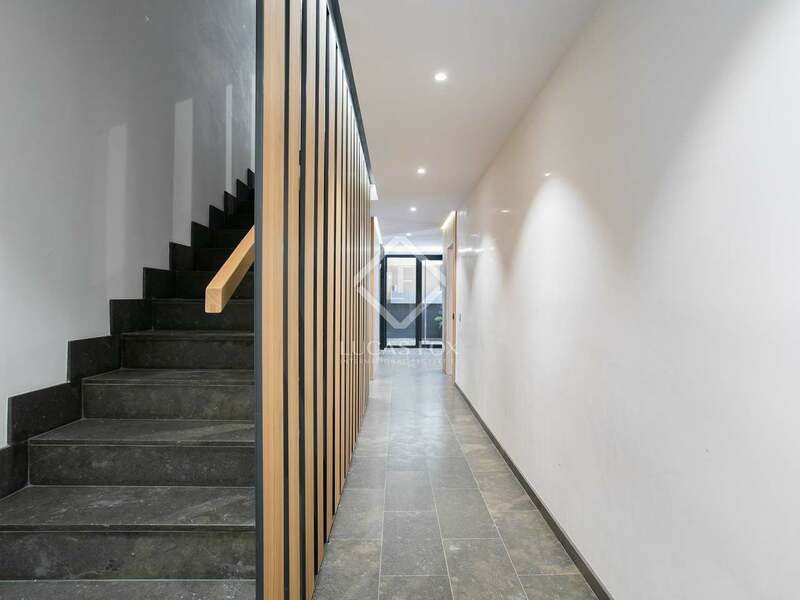 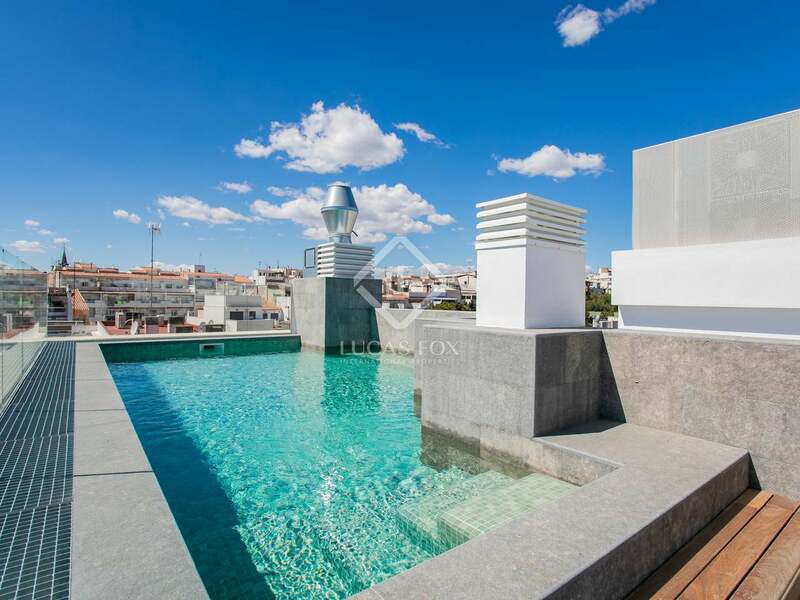 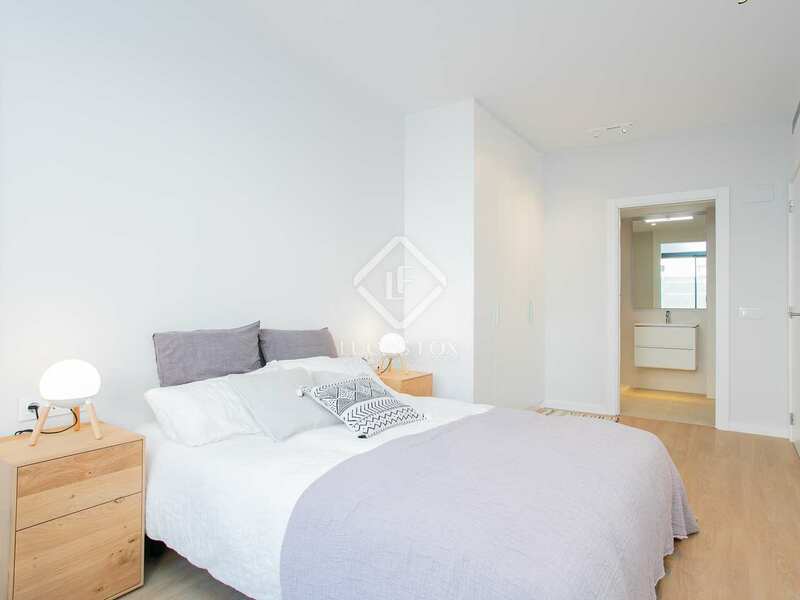 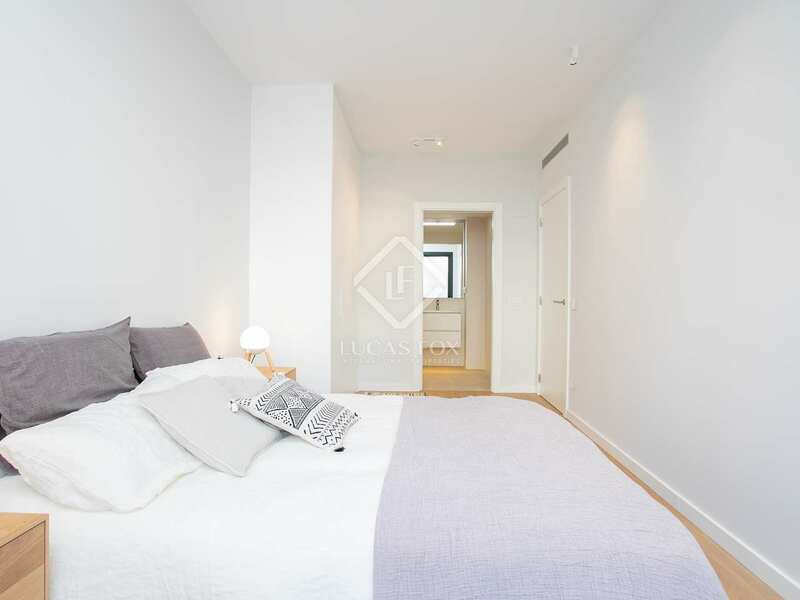 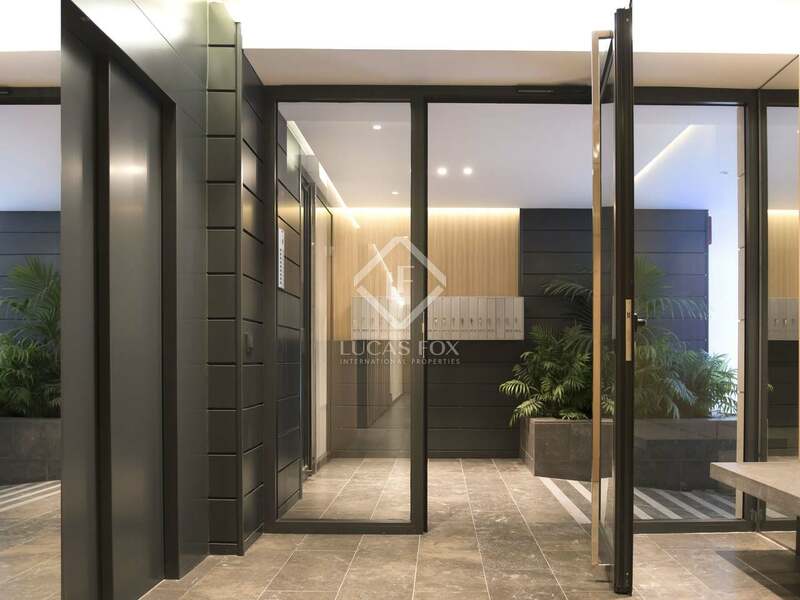 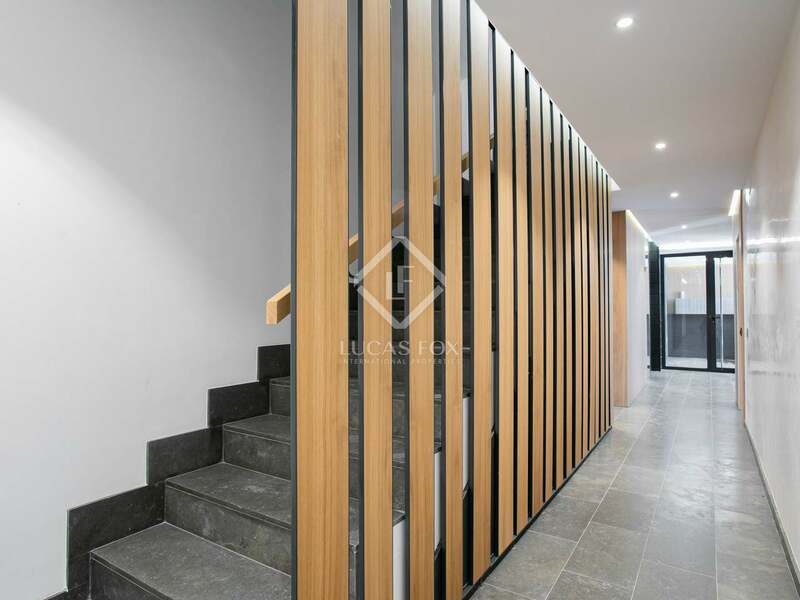 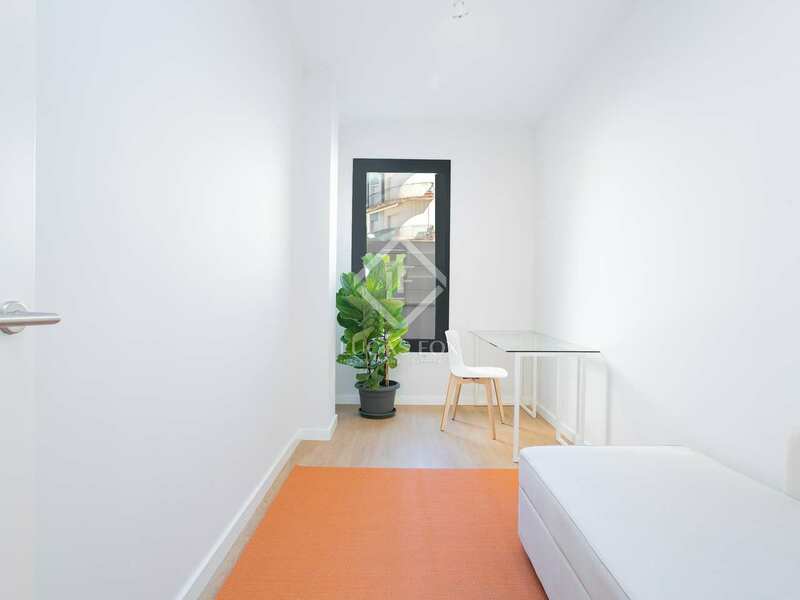 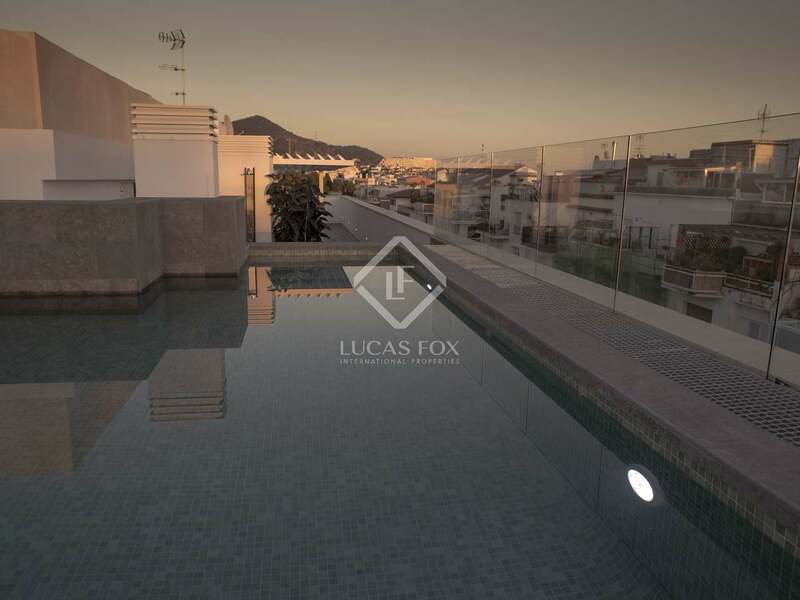 There is the possibility to purchase this apartment furnished as well as the option to buy a secure parking space in the building.